Anthology movies are the total package for the viewers, consisting of multiple short stories which could include one or many directors. Horror anthologies are the most fun and terrifying sub-genre and make it great for the viewer’s when all the stories summed up together. 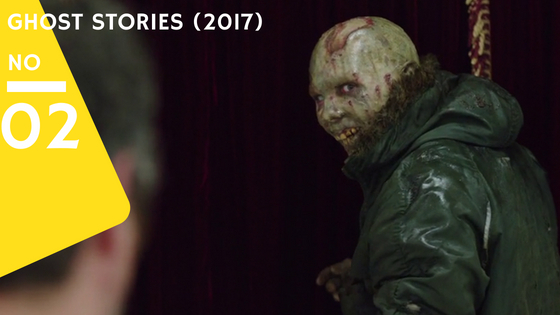 If you are getting sick of the other movie genres and want to explore more then take a look at our 15 best horror anthology movies of all time. A television film with three short horror stories by horror masters John Carpenter and Tobe Hooper. This film is totally a fun anthology horror with unexpected cameos of some well-known Hollywood faces. The first two segments “The Gas Station & Hair” directed by Carpenter while the third segment “Eye” directed by the Tobe Hooper featuring Mark Hamill. Well, only the first two segments were well appreciated, praising the direction and fun cameos. The first tale “The Gas Station” stars Alex Datcher as Anne where she stuck by a gas station targeted by a serial killer. The second tale “Hair” is much of a silly concept where a bald man Richard Coberts visits an experimental hair clinic but things went wrong as the experiment intended to feed the aliens, operating undercover on Earth. The last segment by Hooper is much of a dark affair featuring Mark Hamill. It tells the story of a baseball player Brent Matthews who got into an accident, losing his right eye. With an eye transplant, he got full vision but caused him to see horrifying events and ultimately alters his personality. 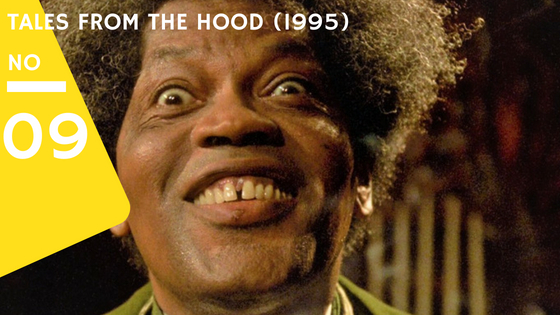 Based on the EC Comics stories, Tales from the Hood is one of the most popular social horror movies of all time. Like the EC Comics based film “Tales from the Crypt”, the 1995 horror comedy tackled the issues like racism, domestic abuse and gang violence between African-American communities. Director Rusty Cundieff did a great job by stuffing four stories together with social morality. The story involves three young drug dealers visiting a funeral home for their drug stash. Instead of getting the drug, they ran into the creepy mortician “Simms” who tells them four terrifying tales. You must look out for the fourth one, it’s about the gang violence which has a unique combination of horror and social commentary with some of the parody too. 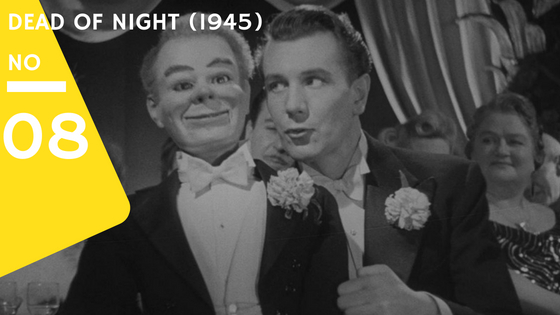 It’s been around 70 years since the release of the film and still can outpace many modern horror films. The film released in 1945 contains five individual stories directed by four different directors which are rare for anthologies and especially for that time. Dead of Night has a name for” ahead of its time” and still have a cult following for its scary stories. The film follows the story of an architect Mervyn Johns who had a nightmare and then struck by the Deja vu while visiting a country estate of Roland Culver where he meets many strangers forced to listen to their own disturbing real-life events. Slowly, the dreams start to haunt him in real moments and those moments turned into horrifying nightmares. 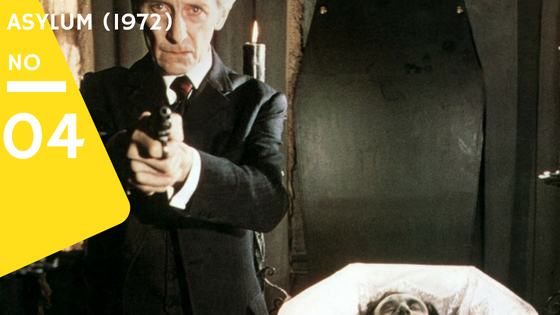 The movie is best remembered for its classic British horror films and influenced many filmmakers, Martin Scorsese sited Dead of the Night on his list of scariest horror film of all time. 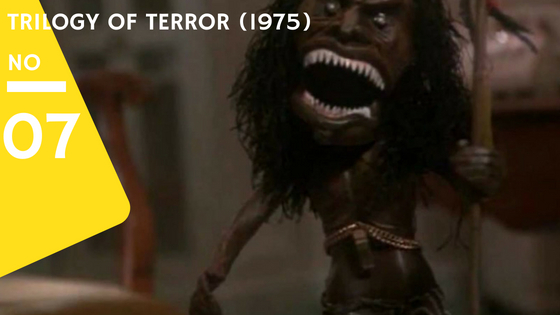 Based on the short stories by Richard Matheson, Trilogy of Terror featured cult actress Karen Black who scared the hell out of everyone with her great performance. Karen Black played four different roles for the movie as an anguished woman. 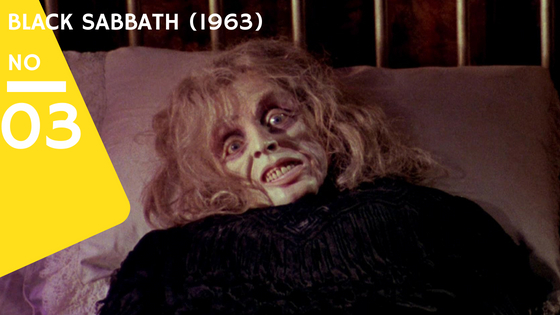 The film is a cult classic and remembered as one of the scariest anthology horror films “actually a TV-film”. Particularly, the third segment praised a lot where a 15-20 minute of a claustrophobic story about a woman horrified by psychotic African Zulu doll that goes totally berserk on her. Directed by Dan Curtis, the film is one of the best 70’s horror TV-Film. 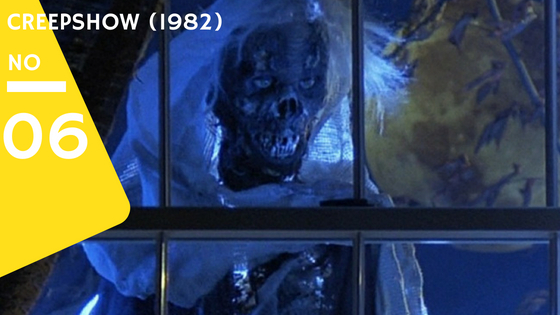 Stephen King stepped very first time into the world of screenwriting with the dark comedy horror anthology film ‘Creepshow’ and as well as made his film acting debut. Directed by George A. Romero and based on the EC comics of the early 1950’s, Creepshow is one of the horror films which regarded as a cult classic, the film is impishly funny with best horror moments which makes it one of the most successful comedy-horror anthology film. The extended homage to EC Comics follows five tales of horror which includes “Father’s Day” written by King himself, a dimwitted yokel who discovers a radioactive meteorite, Leslie Nielson as a psychopath husband, a college professor who finds out a crate which contains man-eating ape-like creature, a billionaire who creeps out by cockroaches in his sealed apartment. Trick ‘r Treat is one of the most successful horror movies as it has a strong cult following and outstanding critics reviews. Other than the horrifying set of stories, it contains a dark comedy humour which makes this film more interesting. It contains a total of four Halloween stories with a common character Sam who appears whenever a person breaks Halloween tradition. The interrelated tales includes a couple having a terrible night, a spiteful serial killer, a college virgin girl who is saving her virginity for someone special and a group of teenagers who played some bad Halloween pranks. A sequel is already in production, so get ready for another Halloween’s Trick ‘r Treat. Written by Psycho author Robert Bloch and based on his own short stories, Asylum is one of the most intriguing horror anthology films. Directed by Roy Ward Baker, the film consists of a total of four different stories. 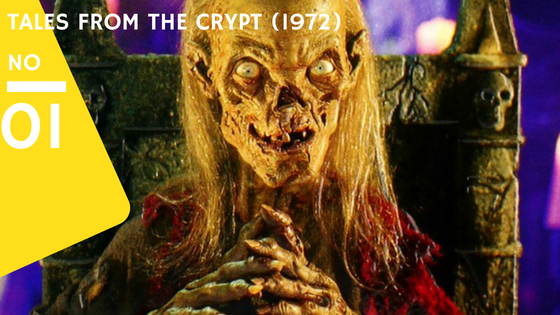 The movie is produced by Amicus has best known for Tales from the Crypt, so you can guess how much horrifying the film could be and one of the best scary and creepy horror film. Directed by David R. Ellis he film tells the story of a college dorm, once a mental asylum in the 1930’s used to treat mental teenagers. The freshman students learned the truth of the new dormitory and got haunted by the psychiatrist Magnus Burke. Despite its absurd supernatural horror, the film known for its terrifying and effective horror scenes and the suspense in the movie will keep you interested until the end. Asylum is available on Netflix right now, login and watch. Well, don’t confuse with the metal band Black Sabbath because they took their band name with this horrifying movie ‘Black Sabbath‘. 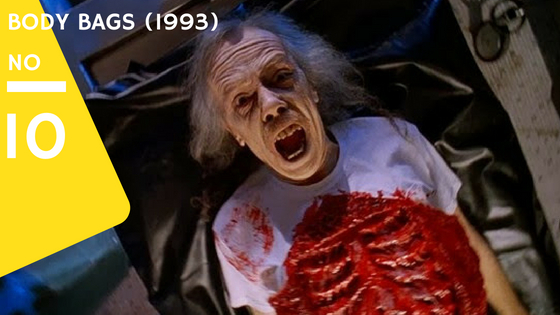 This is one of those horror films which inspired and influenced many filmmakers like Quentin Tarantino. Heads up to the director and screenplay writer Mario Bava who made this film a classic hit with his frightening skills. The film follows three different stories follows a French call-girl receiving strange calls from beyond the grave, the second one follows an aging vampire who has a curse to feed only on those who he loves. The last one centres a nurse who stole a ring from a corpse and found strange events happening to her. Based on 2010’s stage play with the same name as Ghost Stories created by Andy Nyman and Jeremy Dyson. The creators moved their stage play to the big screen with more horrifying and intense set of creepy paranormal activities. If you are planning to watch a horror movie with great stories then this could be your horror jam tonight. The film is once in a blue moon for horror anthology movies as all the segments from the film intertwined in a thematic way. Ghost Stories is one of the cleverly made films, brings out the old-fashioned stories in a simple modern way. It follows a professor Phillip Goodman who investigates three unsolved cases of haunting spirits. Adapted from the stories of EC Comics’ Tales from the crypt, Freddie Francis directed this classic flick and bring out some great stories in live action. The film gained popularity on its release and one of the best anthology horror movie of all time. It contains five separate segments with rich horror content in every story which does not happen often to anthology movies. With the film popularity, after a decade HBO released a TV-Series with the same name from 1989 to 1996 following more stories from EC Comics. The classic British horror features five tales of five stranger visits a catacomb where they become lost from the main group and trapped in a chamber where a mysterious Crypt keeper shows the death of each one of them.